The 4-H History Preservation site at 4-HHistoryPreservation.com was switched over to use the HTTPS protocol effective April 12, 2018. Oversimplified, using HTTP is like sitting at a table in a diner where you can hear the conversations of everyone around you… and they may well hear yours. In the online world, this means that someone, usually the bad guys, is able to listen in on your conversation and possibly hack in to it to steal information such as passwords and credit card information, track your movements on-line, etc. With HTTPS, all communication between you and the web server are encrypted. If someone tries to listen in, all they see is garbage. This includes your service provider. Search engine rankings improve with HTTPS. Google and other search engines are giving a higher rank to sites that use HTTPS. When a web site uses HTTPS, no one, including your service provider, can see URLs and content in an unencrypted form. All they will see is garbage. Keep in mind, however, that the actual domain name is always transmitted in clear text. While this allows someone to see what sites you are visiting, they are unable to see any content. Using HTTPS shows that the site owner cares about you, your privacy and your information. Modern browsers are starting to highlight secure web sites in the address bar. For example, the Google Chrome browser places ‘Secure’ in green at the front of the site in the address bar. Other sites within the 4-H History Preservation Program will be transitioned to HTTPS in the coming months. The only thing that you should notice as sites transition is possibly the manner in which your browser shows the site address. It’s a New Year . . .
… and because history is made every day, it’s the start of another historical era for 4-H. How many of your New Year’s resolutions have to do with 4-H? Setting new individual and group goals? Starting or continuing efforts to preserve your 4-H History? Two Georgia counties started a swine and poultry exhibition in 1916 to encourage black farmers to grow other crops besides cotton, primarily food products to improve income and nutrition. The show grew from 21 hams and less than 100 visitors in 1916 to 1,813 hams and 2,000 visitors in 1945. Most often asked questions at the 4-H History booth at 2017’s NAE4-HA meeting centered on how to get started saving local and state 4-H history. Minnesota’s Vintage 4-H Club of retired Extension staff presented several guidelines, now available by contacting that group’s History Committee. 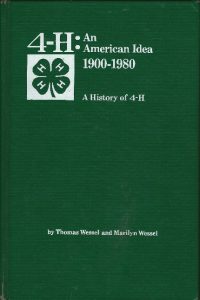 A good way to start the new year is to go over the history of 4-H in the two main history books that exist. Both books can be read or researched in part at http//:www.4-HHistoryPreservtion.com. 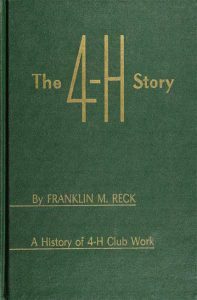 The first is The 4-H Story, A History of 4-H Club Work, by Franklin M. Reck, 1971 326p, the second is 4-H: An American Idea 1900-1980, A History of 4-H, by Thomas Wessel and Marilyn Wessel, 1982 353p. Different sources have different definitions. But most of the broad definitions are based on individual experiences and stories. One Pennsylvania 4-H Club decided to spread their individual experiences through a club newsletter, and you can do the same. What is your definition of 4-H? Over 200 historical sites were added to the National 4-H History Map during last year’s NAE4-HA conference. 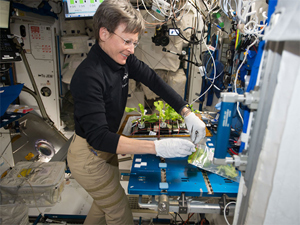 Ohio Extension Educators are adding even more in their state, so you can visit some of the sites on your way to or from the 2018 NAE4-HA meeting in Columbus. Pageantry and fun were always part of 4-H Congress held in Chicago, but there was also a heavy emphasis on educational opportunities for the gathered state winners. Especially when donor representatives met together with 4-H members, topics of mutual interest were sorted out in sometimes heated discussion. Let us know throughout the year how you are doing at info@4-HHistoryPreservation.com. We predict you’ll make more progress with those than with your usual diet and exercise resolutions! But while you’re on the treadmill at the gym, enjoy this issue. The many strengths of 4-H, volunteer leaders sensitively guiding youth, the public/private partnership supporting the program, dedication of Extension Educators, enthusiastic members, and a rich, rich history. 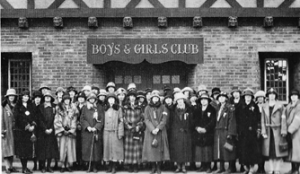 Thomas E. Wilson, President of Wilson & Co., invited some 4-H club boys to lunch in 1916. 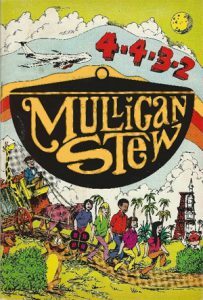 That event, though small, was the forerunner of what became the hugely successful celebration of youth achievement. Chicago welcomed the 4-H extravaganza for over 70 years. 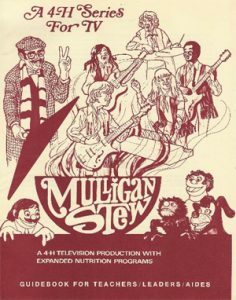 Teachers, leaders and aids guided millions of youth, at school and in clubs, through a unique, nutrition learning-adventure with the help of six 4-H produced, fast-paced television programs and a comic book in the 1970s. Several of the first 4-H clubs in some states are still flourishing, over 100 years later. It would be fun to research the history of your own club and perhaps nominate it for a place on the National 4-H History Map. How Does Minnesota Do It? Many people have asked how to start a 4-H History initiative in their state and here’s a suggestion from Minnesota. It starts with their “Vintage 4-H” group, and they’ve prepared an outline of what to look for as you put a program in place. This is the third and final chapter in the story of Joe Thigpen, a 4-H Alum and Peace Corps volunteer who returned to Brazil after 50 years to find his host family and meet the “kids” he worked with in 4-S.
… whether or not you indulge in the traditional feasting, take a minute and remember the many things in 4-H for which we are thankful – especially its rich history – and enjoy this issue! The premier 4-H program almost every fall since 1922 started in Chicago and stayed there for 70 years before moving south. Some will recall the glamour, mystique and exhilaration of those early years. Part two of this reunion story brings 4-H alum Joe Thigpen back to his Peace Corps family and 4-S clubs in Santa Catarina, Brazil. Connections are strong and memories are fondly rekindled. Another in our series of how various states are using or celebrating 4-H History in their programs. Maine has initiated a blog highlighting various historic 4-H topics. We celebrated the 4-H Centennial in 2002 and in 2027 4-H will be 125 years old. 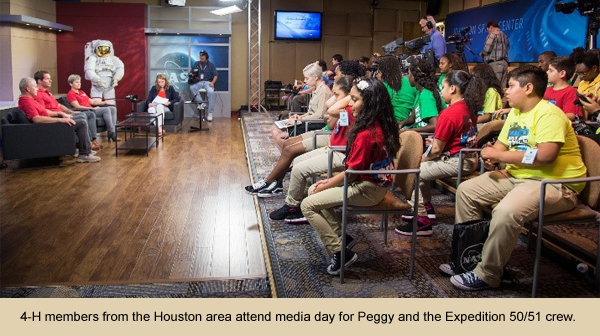 It’s not too early to start thinking about how we want to tell the 4-H story. Start making plans and share your ideas. 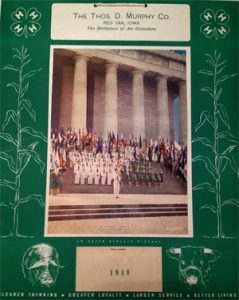 Songs have long been a tradition in 4-H and two of the most traditional songs were introduced at the 1927 National 4-H Camp (now Conference) on the Washington, DC Mall. Can you name them? State winners to National 4-H Congress pose in front of the 4-H Headquarters in Chicago in 1929. Youth and adult planning group for the 2016 4-H Congress in Atlanta. … And maybe you’re near a source of freshly-pressed apple cider. If so, grab a glass of the refreshing nectar and enjoy this issue. 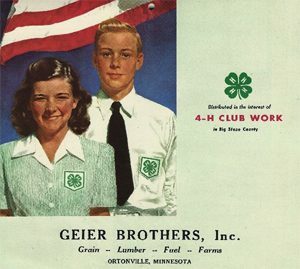 What started in 1926 was later modified in 1942 and again in 1945; in all iterations, it showcased the work and achievements of 4-H members nationwide. This year, it’s October 1-7. 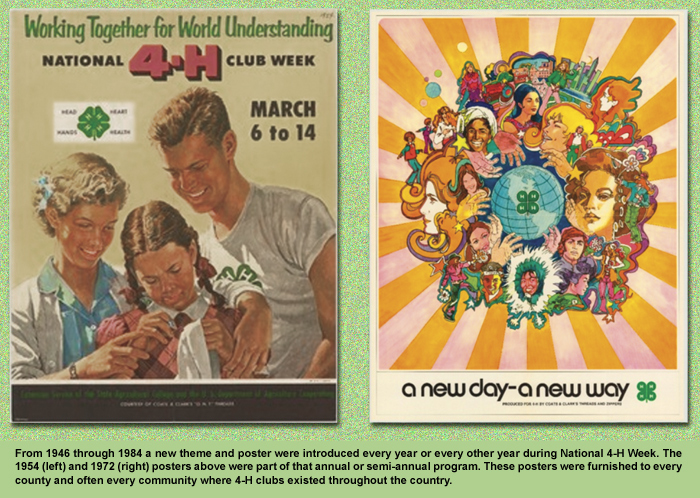 Do you know what other years 4-H Week was modified? Your club can sell poppy seeds to help raise money for the planned World War I Memorial in DC and support their own local activities. 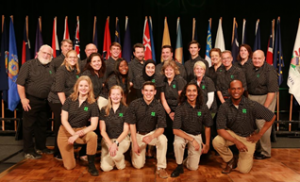 Tennessee 4-H’ers reached 16,000 people from 150 countries with a demonstration of how to use Geographic Information Systems (GIS) to map community health care issues leading to obesity. Does your Club have a 4-H Charter? 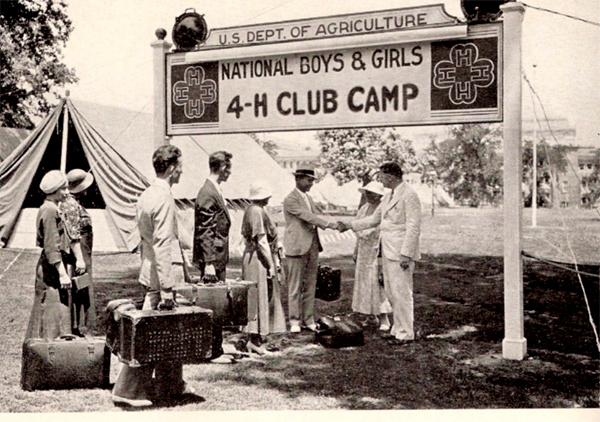 Starting in 1919, USDA issued Club Charters to “official” 4-H Clubs. Some are real treasures and the practice continues today. A 4-H alum returns after 50 years to Santa Catarina, Brazil, to check the status of his family and the 4-S clubs he started as a Peace Corps Volunteer. Do you have an old 4-H calendar in your attic? We’d like to see it. 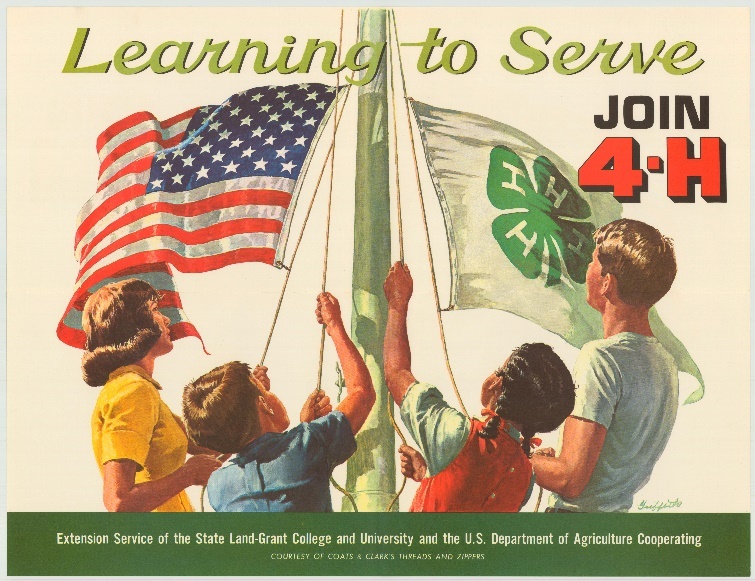 National 4-H calendars, a program which began in 1949, and ran for six decades, helped build and maintain the National 4-H Center. Joe Ostaszewski, Biggest Loser Finalist and Florida State footballer bicycled 2,972 miles to take the 4-H Health Pledge; a big boost for 4-H members! Faced with only a photo, a History Team member uncovered a 4-H Stock Show romance and more from the 1929 International Livestock Exposition. Do you have a “History Mystery” photo you can research? J. C Penney was a long-time enthusiast of the 4-H Program. 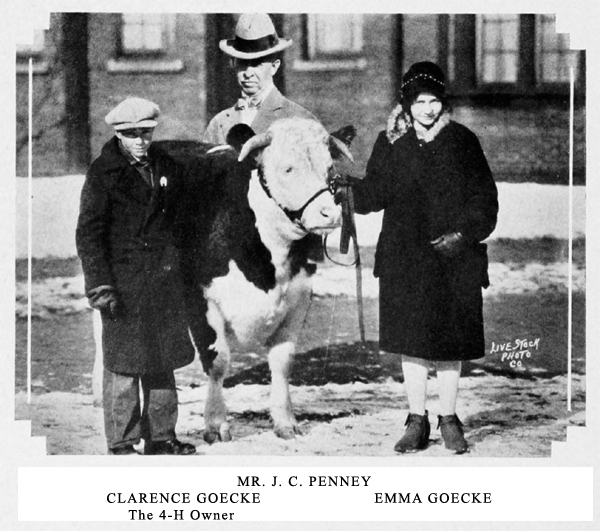 As early as 1929 he purchased the Grand Campion Steer, owned by a 4-H’er at the International Livestock Exposition in Chicago. 95 Years Ago . . .
4-H awarded the nation’s Healthiest Boy and Healthiest Girl. Though those awards are no longer given, the diet and lifestyle of former winners are definitely worth replicating. 65 Years Ago . . . The US Postal Service issued a commemorative stamp to recognize the 50th anniversary of the beginning of 4-H. The collector’s item honors a significant milestone in 4-H History. A new feature. A 1957 IFYE Alumna shares the inspiration she received from Kathleen Flom, long-time 4-H international staff member. We’d also love to hear from you!